12:30 – 2:30 Aruchat Tzaharayim (lunch) – Sit back and relax and enjoy some time with your kids. There will be seating available outside and inside of the Chadar Ochel (dining hall), hamburgers and hot dogs will be available for purchase; we accept cash and checks only. Chanichim (campers) will receive meal tickets in advance. Visitors’ Day Ends – Thanks for coming! Please drive safely. Thank you to Joan and Shael Bellows for your gracious donation of additional tables and chairs for Visitors’ Day. Continuing with this month’s nosei of Moshevet Medinateinu, highlighting key events and figures of modern day Israel, the entire Machaneh traveled to the Barlow Planetarium last night in honor of the memory of Ilan Ramon. At mifkad and in shiur yesterday, the chanichim learned about the life and legacy of Ramon, the first Israeli astronaut and the first to request kosher food on flight and bring on board a Torah, mezuzah and siddur. We discussed the idea of making a Kiddush Hashem while still following our dreams and how important it is to still keep Torah and mitzvot even in a place where there are no other Jews. Following a day full of peulot, we boarded the buses and headed to the planetarium where we had a picnic dinner and were then ushered inside to take part in two fascinating science shows. The first show took us on a trip through the planets in our solar system and made us feel like we were actually living in space. The second show was more hands on, using fire and ice and real life objects to illustrate some techniques used in space and the way a space shuttle is launched. What made the night even more special was that the leader of the tour was at the launching of the Columbia launch, the shuttle upon which Ilan Ramon was aboard when he was killed. He explained to all of us how it amazing it was to witness the take off, and how devastating it was to hear of the tragic accident only 16 minutes prior to the scheduled landing time. Each chanich and tzevet member alike, left the planetarium having had a great time and having learned something in the process. Ilan Ramon represents to us as a nation that not even the sky is our limit. Can’t Wait for Our First Shabbat in Machaneh! This morning, the chanichim went to Wild Air and had a chance to jump around. But, that is only the beginning of the excitement. Tonight marks the first Shabbat for the chanichim in Machaneh 2012. For some it will be their first Shabbat in camp ever, others more, but for all it will be memorable. Make to sure to check back here on Motzei Shabbat for updates and pictures. Today’s Moshava Minute features Avodah. Take a look, click here. Today we all got to be real warriors…Jump Rope Warriors that is. We had the pleasure of learning directly from the great Jump Rope Warrior. He came to camp and each kvutzah was given time to learn his tricks during the afternoon. At night, he put on a special presentation for us. Click here to see the Moshava Minute about it. So many chugim to choose from, it was hard to decide. We had an exciting day with the beginning of chugim (electives). Chanichim were able to select from a variety of choices such as drama, baking, melechet yad, boys’ dance and so many more! The night tochnit consisted of activities that allowed the chanichim to simulate the Six Day War. Using the techniques that they learned yesterday, they were sure to succeed (much like the actual IDF).  We look forward to continuing our camp journey through our noseh, Moshevet Medinateinu. Day One Off to a Great Start! There’s nothing like that first morning in camp. You’re not used to the special time zone yet. Things start early and you’re ready to have FUN! Today was no exception. At night the chanichim participated in the unification of the Israeli Defense Forces. They were involved in drills, special training and preparation for the establishment of the State of Israel. Click here to see a Moshava Minute about the night tochnit. We would also like to welcome Rabbi Zvi and Laurie Engel and their family to camp. Rabbi Engel is the Rabbi of Congregation Or Torah in Skokie, Il. and will be joining us through Sunday. Make sure to check us out on Facebook and Twitter. As the chanichim stepped of the buses this afternoon, the energy and excitement felt by everyone was extremely apparent. After a jam-packed opening and an uplifting first Shabbat, all the tzevet was eagerly awaiting the arrival of the chanichim. All the chanichim were welcomed by the tzevet and ushered inside for lice check and to hear who their kvutza-mates and madrichim would be. We announced that the Nosei of the month will be Moshevet Medinateinu, focusing on modern day Israel from 1948 through present day. Each day will touch upon and highlight key events, places, and players that helped shaped our land. As everyone continues to get settled, it is already clear that this will be a fantastic month filled with great opportunities for fun, friendship, and learning. Yesterday, the tzevet (staff) and Avodah buses arrived in camp. Everyone rushed off with excitement in their eyes. Make sure to check the website on a daily basis for pictures, articles and videos. Don’t forget to “Like” us on Facebook for fun updates click here. In addition, this year we will be having a bigger showing on our Twitter account @MoshavaWildRose click here.